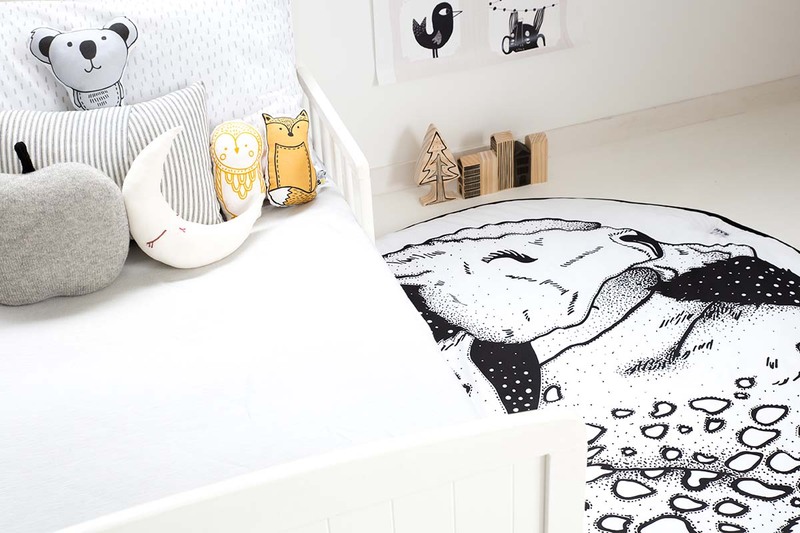 Stunning originally designed (©) Sleeping Fawn Nursery Play Mat in a monochrome colour scheme to compliment any decor and be a treasured piece. 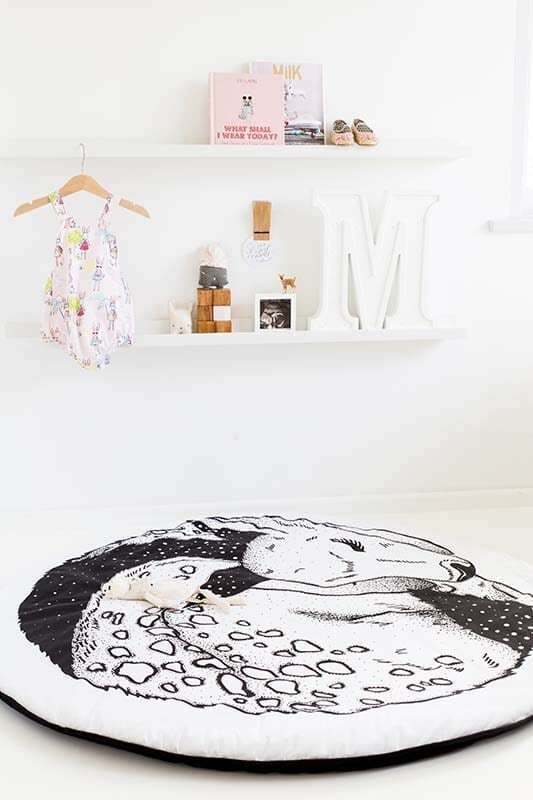 Super soft mat, and the deer is adorable. Beautiful products. I've bought these playmats as presents for a number of friends who are expecting and every one of them has loved them. The quality is superb and they are such a beautiful edition to your home. Would recommend to anyone. Quality is beautiful. Service was excellent. Bubs loves this mat, beautifully made and arrived very promptly. Loved that it is GOTS certified.